I spotted a free mini Kindle book available on Amazon today – An Introduction to Angels. This is a short interview with Doreen Virtue by “Best of You Today”. If you are looking for a quick and easy read then this is the book for you! 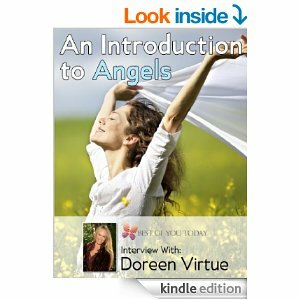 It is short and sweet and gives you some basic information on Doreen Virtue and how to work with your angels. 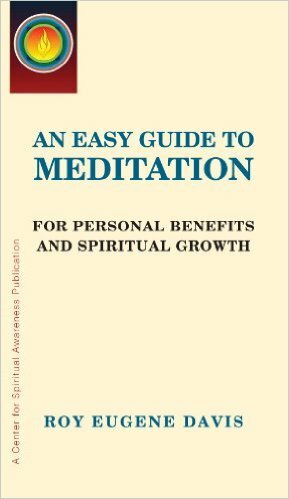 This is an uplifting and positive little book to add to your library. When you experience the emotions of fear, disappointment, sadness, anger or envy, you lower your energy level. Holding onto such emotions can result as extreme stress, insomnia, anxiety and a feeling of life not working out the way you planned. Anthony Robbins says that abundance appears when you are grateful. This happens because if you take the time to cultivate an attitude of gratitude you can begin to be grateful for all that happens to you. Everything in life is made up of bundles of energy and you can exercise choice regarding your actions and attitude. You can cultivate an attitude that is filled with gratitude or you can practice an attitude of constantly complaining and staying stuck in feeling abused. Don’t wait until you have your life all planned out or all your ducks in a row before you allow yourself to be happy. Allow yourself to enjoy vibrant health and fortune by being grateful each and everyday. You can open to the flow of energy by learning to increase your awareness of blessings in your life by balancing your charkas. Chakras (a Sanskit word meaning spinning wheel or circle) are energy points in the body that correspond with the endocrine glands. The health of your energy centers, or chakras, may influence your physical health. You need to be aligned to experience and maintain vibrant health, well-being and to live a deeply fulfilling life. The belief in chakras originated in India and was first utilized in Ayuevedic medicine. If you practice yoga, meditate or do body work then you may already be familiar with chakras. Imagine your chakras as circles of energy that support the vitality of your body, mind and soul. Your lower chakras correspond to issues of the material world, while your upper chakras are centered more upon spiritual issues. Below I will introduce you to the 7 major chakras even though there are many more, and I ask you to choose just one chakra to work with today as you play the Gratitude Game. The Root Chakra: This is located at the base of the spine. 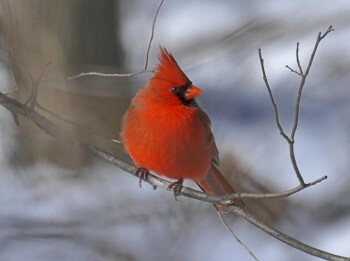 It is a brilliant ruby-red color. Your root charka is related to issues of physical security and it is affected by your feelings, beliefs and thoughts about survival and your sense of security in the world. The Sacral Chakra: This is located in the lower abdomen. In Eastern philosophy this center is known as the Hara, and it has a very significant part in the Asian martial arts as a central focus for movement and co-ordination. It is a vibrant shade of orange. The sacral charka is affected by your feelings, beliefs and thoughts about well-being, pleasure and sexuality. The Solar Plexus Chakra: This is the 3rd major charka and it is found right behind the navel. It is a shade of canary yellow. The main issues of the solar plexus charka have to do with self-worth, self-esteem and personal power. It is strongly connected to your attitudes about empowerment and decision making. The Heart Chakra: This is situated in the center of the chest above the region of the physical heart. It relates to issues in your life that have to do with love and joy. The heart charka is a beautiful shade of emerald green. 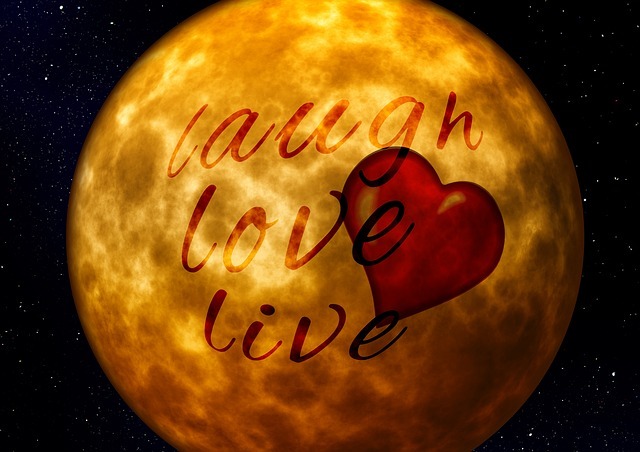 When your heart charka is healthy and balanced you are able to form loving connections with all living beings. 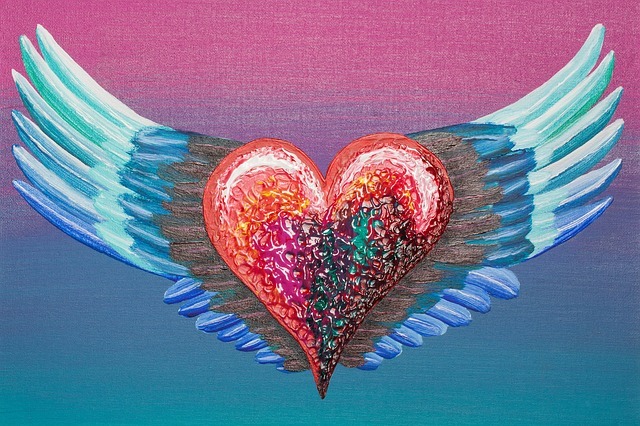 The heart chakra is about giving and receiving love. The Throat Chakra: This is the 5th major chakra and it is located inside the throat where it acts as a bridge between your heart and your mind. This chakra is blue in color and is the center of communication and self-expression. When your throat chakra is balanced you will feel lively and expressive. If your throat chakra becomes blocked it is usually connected to thoughts and feelings centering on expressing yourself freely. The Brow Chakra: This is located in the forehead between the eyebrows. It is often called the third eye. This chakra is a lovely rich indigo color. It presides over your capacity to think and discern, to use your imagination and develop your intuition. The brow chakra also helps you gather wisdom from all life experiences. The Crown Chakra: The 7th major chakra is found at the very crown of the head. This chakra is a magnificent violet color and it links you with beauty, and your spiritual nature. Have some fun while you practice gratitude and balance your chakras. I invite you to play a game; this game is inspired by my Grandmother, Kathleen Thompson, who loved surprising people with gifts. Make a list of 7 people you appreciate and would like to say thank you to. You may want to consider the people who you may overlook but who add value and ease to your life, such as the postman, the garbage collector or your garden service. Now decide on 7 inexpensive gifts, one of each color related to the chakras, and make a plan on how to present a small token of love and appreciation to 7 people. Violet gift – deliver a box of chocolate chip cookies with a big violet bow to the local animal shelter to thank them for their dedication and care. Have fun playing the Gratitude Game. Don’t rush; it may take you a day or a month or even a year to play this game. Be creative and experience the joy of giving to others and thanking them. Count your blessings. A grateful heart attracts more love, joy, beauty and abundance. 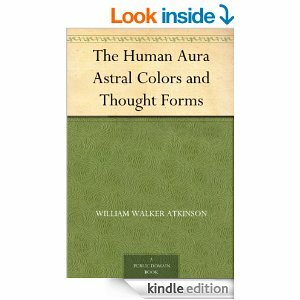 I spotted a free Kindle Book available today on Amazon: The Human Aura Astral Colors and Thought Forms by William Walker Atkinson. 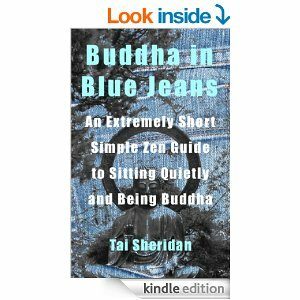 It’s a great little read if you are interested in learning more about the aura and energy fields. I would recommend this book for anyone involved with Reiki, or any form of energetic healing as it contains quite a bit of information and practical advice on how to strengthen your own aura as well as how to see other people’s auras, together with a complete description on the colors. A wonderful weekend read! Gail who has been struggling to loose weight for 10 years decided to give Life Coaching a try to help her feel better about herself and to discover new ways to loose those stubborn 25 pounds. Gail had read an article that described how losing weight and finding one’s purpose were connected. Now Gail was intrigued and eager to drop those extra pounds and find more purpose and passion in her life. Gail spend a lot of time and energy focusing on her weight, on finding the next diet or exercise program that promised rapid results. Like most woman, she found talking about her body made her feel very emotional. Western culture places so much pressure on woman to look good and to keep their youthful appearance instead of honoring the passage of time and the wisdom and soul-beauty that is only earned through living life. During her first Coaching session, Gail said that she felt so much pressure to lose weight and to fit into a smaller dress size. She felt disappointed with the ways in which her body had changed and no longer looked the way it did in her 20’s and early 30’s. Now in her late 40’s Gail felt like she was on a constant roller coaster ride trying new diets and weight loss pills, hoping to find a solution to a problem that was not going away. During coaching sessions we discussed how focusing on diet and exercise is important when losing weight but in order to let go of excess pounds and to keep the weight off long-term, it is important to look at what’s going on inside, to delve into the unconscious mind and to become aware of what may be blocking her ability to lose weight. The root of the problem needed to be addressed on a physical, as well as emotional, mental and spiritual level. Weight loss and self worth are connected and only once Gail understood the connection between her emotions and her weight gain did she begin to notice the surplus weight falling off. 1. Realize that when you feel stressed and anxious your cravings for certain foods will increase. 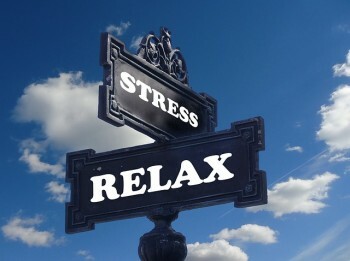 Whenever I felt stressed I would reach for sugary foods such as donuts and cookies. I began to notice that I was eating a lot of foods that were high in fat and sugar. I became a more mindful eater and kept a journal tracking how my negative emotions where influencing my inability to lose weight. I was just adding more weight and more stress to my life. 3. Discover your passion. Over the course of my life coaching session with Bridget it became very clear to me that my purpose and weight loss were connected. Feeling lost and empty I filled myself up with food. With some weekly assignments as part of the coaching I started to notice where my passion was, my purpose started to become clearer and the void I had been filling up with sugary foods, is now filled with actions and activities that fuel my soul and bring a greater sense of peace, clarity and satisfaction to my day. Begin to notice what brings joy to your soul and brings a smile to your face! 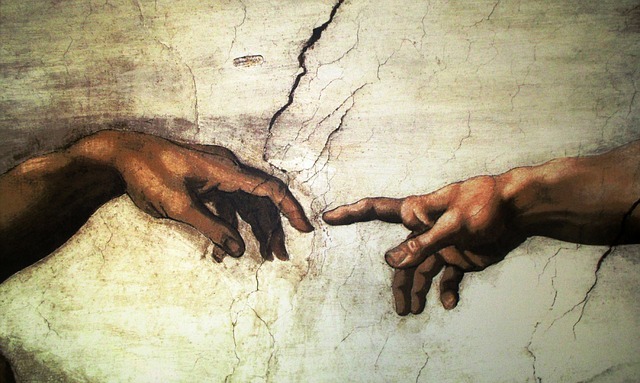 - I understood my beliefs and values, and how I could create meaning in my life. 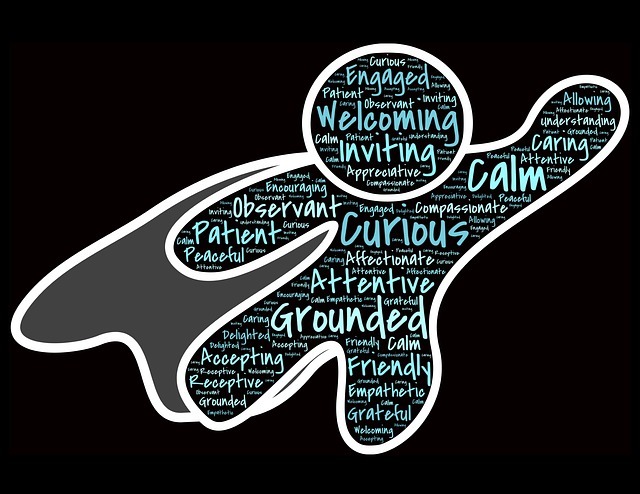 - I empowered myself by acting on what I believed was right; I began to express myself freely, and appreciated myself more. - I started making new choices about the way to relate to people in the NOW so that my relationships bring me joy. 5. As you heal and create a life that is based upon your highest values and beliefs, it is important that you become aware of the people, places and things that may be draining your vital life force energy. I had to look long and hard at what was draining me. I made a note of anything that was draining me. This might be a person that you need to spend less time with or an activity that you need to cut down on. This is about getting clear on what gives you energy/power and what drains your energy and your power. I realized that I was not making enough time during the day to take care of my inner emotions; instead I was so focused on my family and friends and trying to fix their lives. I started to pull my energy back towards myself and focus on what was really important to me, I made time to exercise, to meditate, to cook and prepare healthy meals and snacks. I also carved out time each day to write in my journal as I believe that writing was a great help for me in losing weight and having a safe place to release negative and uncomfortable emotions.